An interesting spot to explore, and a great viewpoint within the moors. There was a dated stone in the building, with the initials I & A, beneath the letter N, and the date 1734. Tracing these initials through the local history records, we can work out that the initials probably refer to John Nightingale and his wife Anne, or Alice. John was one of the trustees of the non-conformist chapel in 1737, along with Moses Cocker. John Nightingale was buried in the Parish Church at Rivington on the 12th Dec 1744. Brown Hill Farm, a sparse place these days, but some nice woodland for sure. The 1734 date obviously refers to a replacement building. The original farm was the site of the earliest grant of land in the area, from some time in 1250. Local records state that “Simon of Rivington grants all of his land in Winterhold to William of Brownhill”. Winterhold is believed to be the name of the northern portion of Rivington. 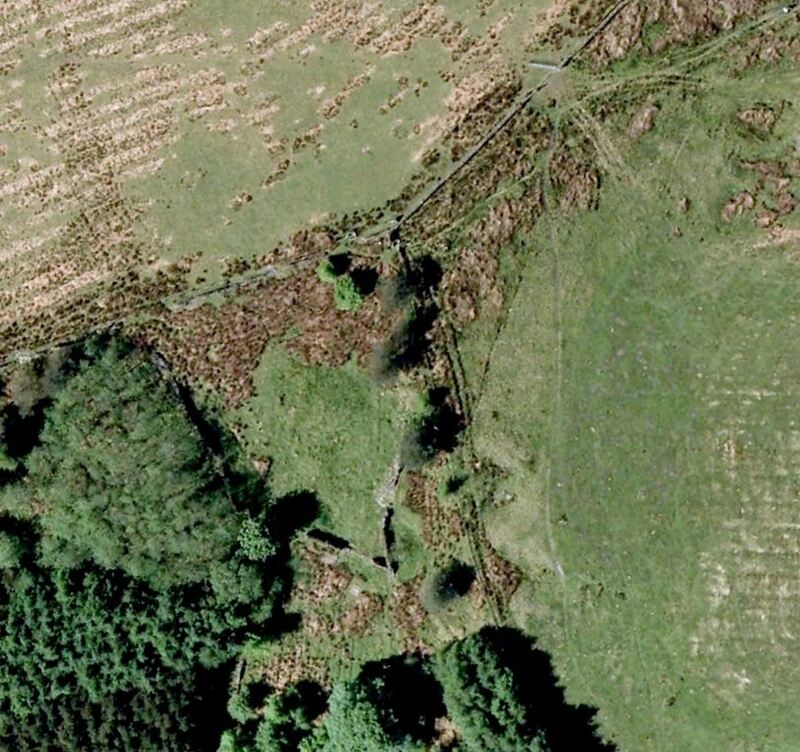 Did this form the name of Winter Hill, or where they separate parts of a larger area? The woodland around the farm is thriving! A descendant of a prior occupier has been in touch – it’s always fascinating to hear from people with ancestral links. 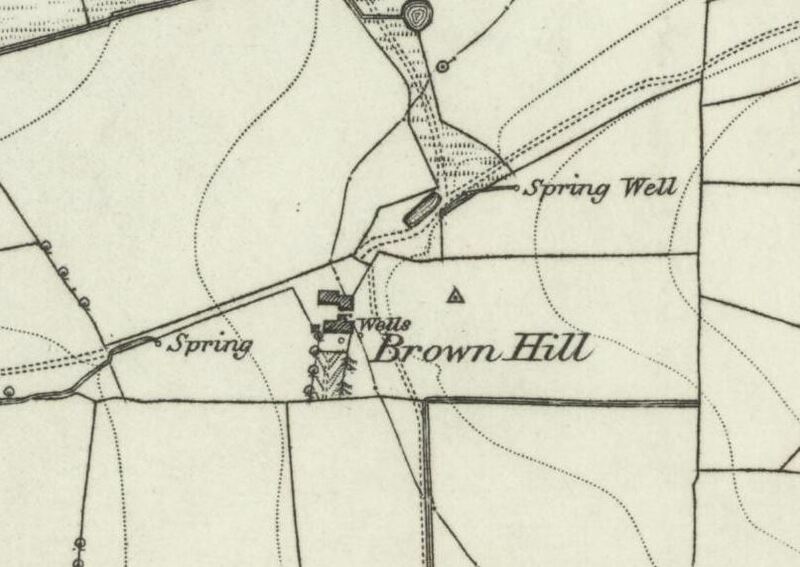 The 3rd Great-Grandfather of this person understands that according to an 1836 Poll Book for Rivington, a James Halliewll was listed as living at Brown Hill farm, and occupying 36 acres of land. I believe him to be my 3rd great grandfather. The spring had water that was highly regarded, indeed a pipeline was placed that took this water to Wilcock’s Farm. 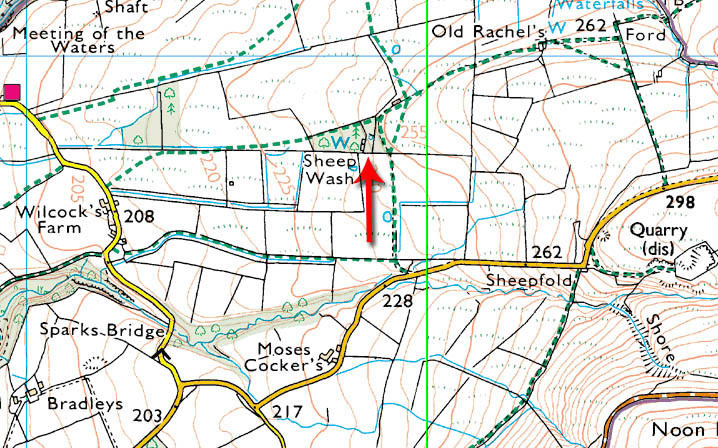 Further up the hill from Brown Hill, towards Hempshaws, is the “Churn Pit” which can still be seen, and was maybe used for dipping sheep. Water that was collected was used to drive the wheel to turn the churn, which was a labour-saving use of natural resources. In the 1930’s, the occupier of Wilcock’s Farm stated that the stones which formed Brown Hill Farm were removed to make or repair one of the reservoirs, with the contractors running bogeys on tram lines to carry the stones. Me again. Soooo cool. I’ve found a record of James HALLIWELL in an 1836 Poll Book for Rivington – his residence is listed as Brown hill farm as an occupier of 36 acres of land. I believe him to be my 3rd great grandfather. So neat to see a map and the overhead view of the land he once farmed. Thank you Kath, I have been going round the pages updating them with the kind comments left by visitors by comment and email. I have incorporated this information in the main page for Brown Hill. Cheers!